Happy New Years, Happy Riding! What do you get when you combine a raging rodeo and a new years celebration?? You get one fun-filled crazy day and night! I went to Clinton’s REACH Huron New Year’s rodeo with no expectations and found an amazing day here in our very own Huron County. The talent and skills that could be found in that riding arena were unbelievable! Not to mention the bravery. I caught myself wincing many times in excitement and thrill for the riders. You want to talk about a nail biter experience, this was once to be had. 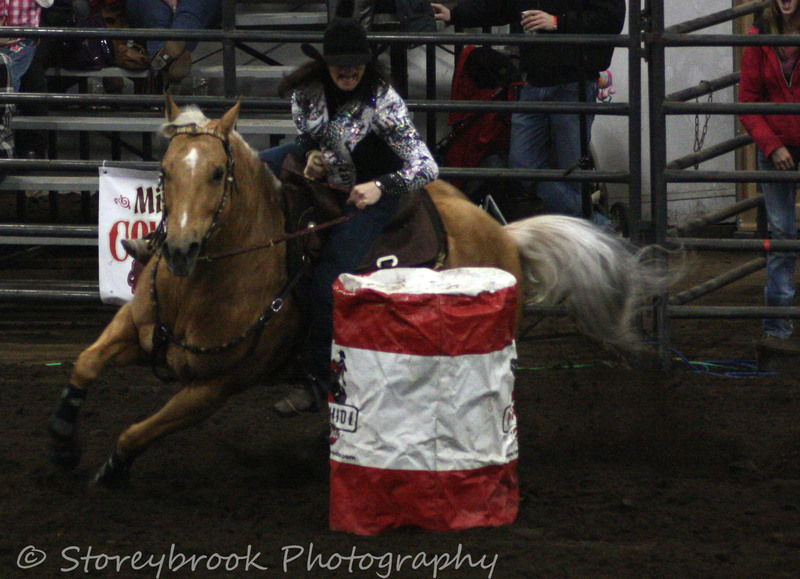 There were many qualifying events in the day from bronco riding, barrel racing, roping and bull riding. 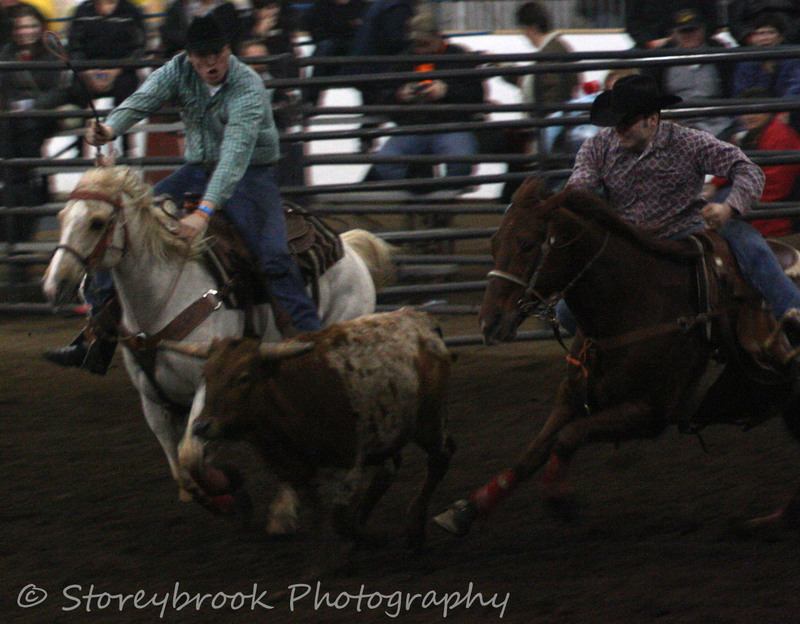 The event was FREE during the day so next year if you are looking for some FREE fun head to the REACH Huron new years rodeo in Clinton. The evening event was spectacular! 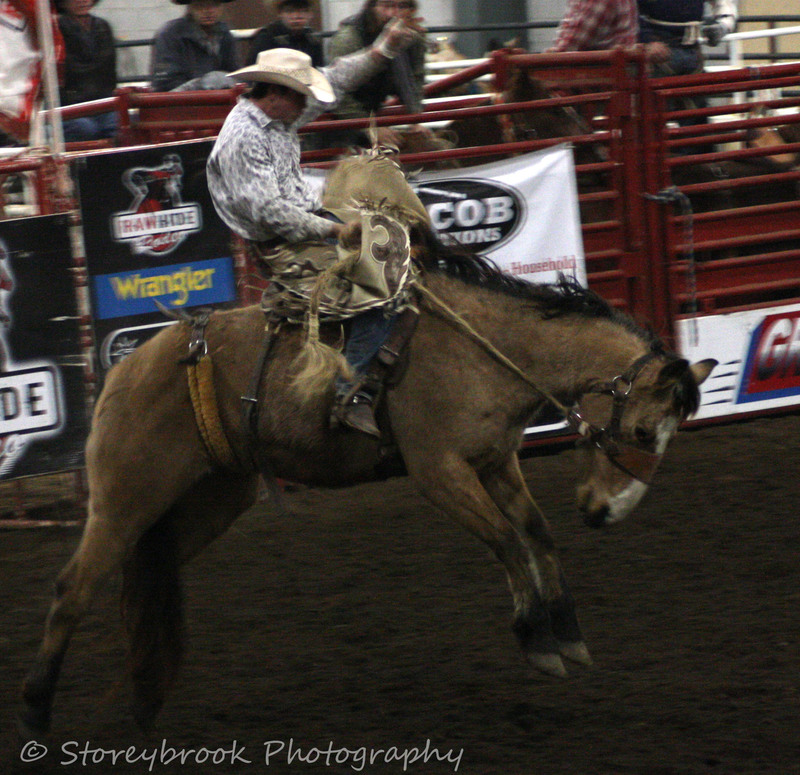 Although the evening portion of the rodeo had a monetary cost to attend, it was well worth the money. There were over 800 people who attended the event, young and old. For someone who is inexperienced in rodeos I had such a blast. The whole ambiance of the event screamed fun from the hilarious announcer to the talent of the participants. I found myself attending the REACH rodeo with a group who also did not know what to expect and had their minds blown away. A friend of mine said to me after the event, “I am not your typical cowboy or rodeo attendee, but I had a blast at that thing!”. I couldn’t have said it any better. 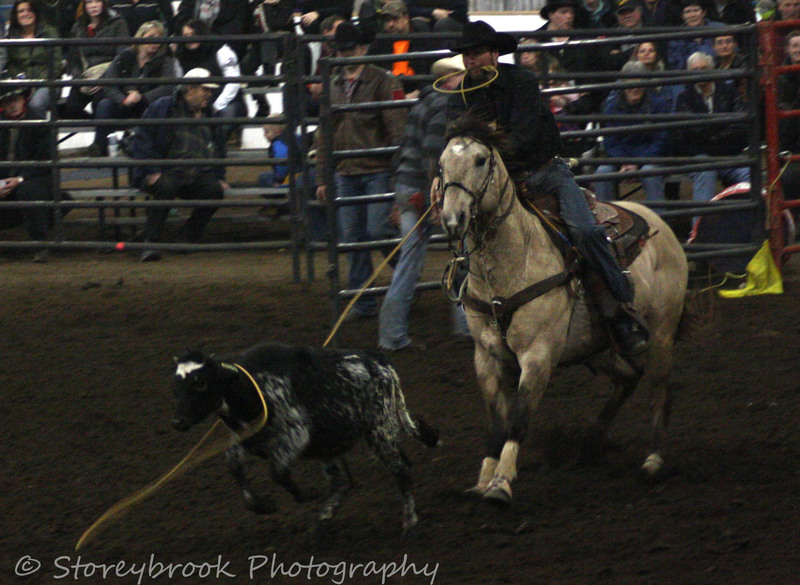 The events included bull riding, barrel racing, calf roping, team roping and sorting, just to name a few. Oh and we can’t forget my favourite the hilarious wild cow milking event. Laughs could be heard across the whole riding arena. The event was spectacular for any person and every family. What a fun way to celebrate the New Year! I’ve included some pictures that have been provided to me from S. Currah. For those who were looking for a fun way to ring in the New Year the event ended with a BX 93 Wild West video dance party! One recommendation for those going next year is wear your cowboy boots and/or rubber boots if you’ve got em’! The licensed event was packed full of over 700 people from across our county and from many others. Be ready to have you boots rocking to a good time. The screens were enormous and played music videos while playing the music to suit them. What an event thrown by REACH Huron. 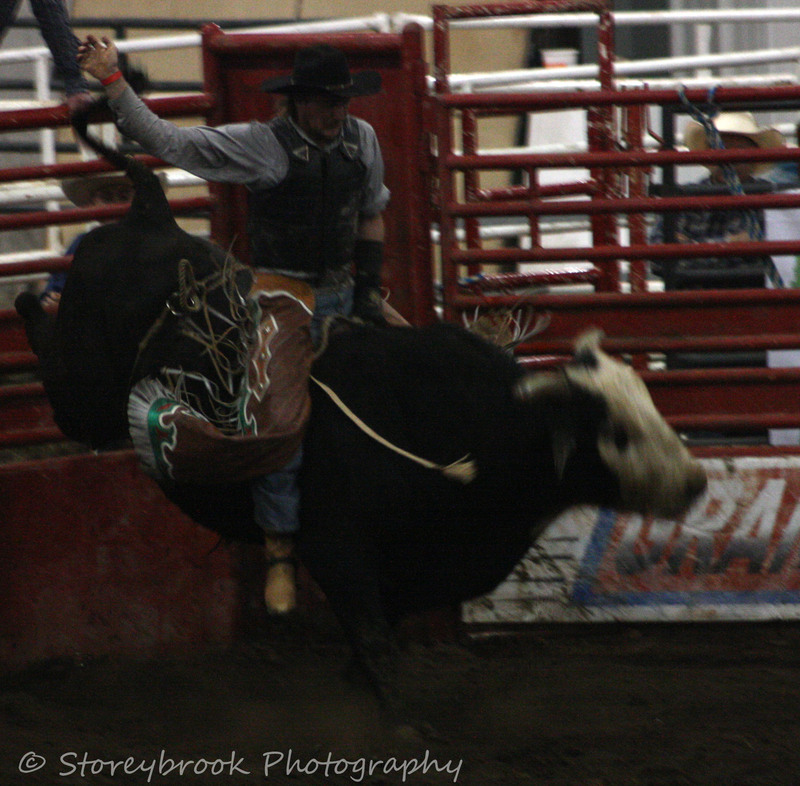 From beginning to end the REACH Huron rodeo & BX93 dance was an New Year’s event that had the whole crowd laughing, dancing, smiling the whole day and night through!